Ours is the red brick building on the corner. The main entrance is on Hitchen Hatch Lane. Don’t be confused by the grey stone churchy-looking building on the other side of Dartford Road – that belongs to our good friends, the Vine Baptist Church. For a good online map, and to get directions to VEC from wherever you’re starting, click on the directions option on the map above. From the High Street, go past the Vine Cricket Ground. 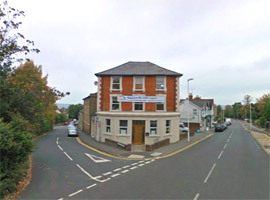 You’ll see Vine Baptist Church on your right, and we’re on the left, on the corner of Hitchen Hatch Lane. From Bat and Ball, go up St John’s Hill and we’re on the right just before the Vine. Entering Sevenoaks from the south (A21): at the top of the town fork right into the High Street and go straight through town, passing the Vine Cricket Ground on your right. Take the next left, Hitchen Hatch Lane, and you’re there. The entrance to the church building is on your right. Entering Sevenoaks from the north (M25): after taking exit 5 you will find yourself coming in to Riverhead. Take the second exit at the roundabout, and after about a mile you will pass Sevenoaks Station on your right. Take the next left, St Botolph’s Road, and after about 300 yards take the third street to the left, Vine Avenue. It is about two hundred yards to the end of Vine Avenue, and we suggest you find a place to park near there. At the end of Vine Avenue turn right into Hitchen Hatch Lane, and the church is on your left after fifty yards. Sundays: there is plenty of free parking on surrounding streets on Sundays. Monday to Saturday: please be careful – parking on surrounding streets is mostly either limited to two hours or permitted only after 10:00 am. If you come earlier than that, and plan to stay more than two hours, you will need to move your car after 10:00 am.